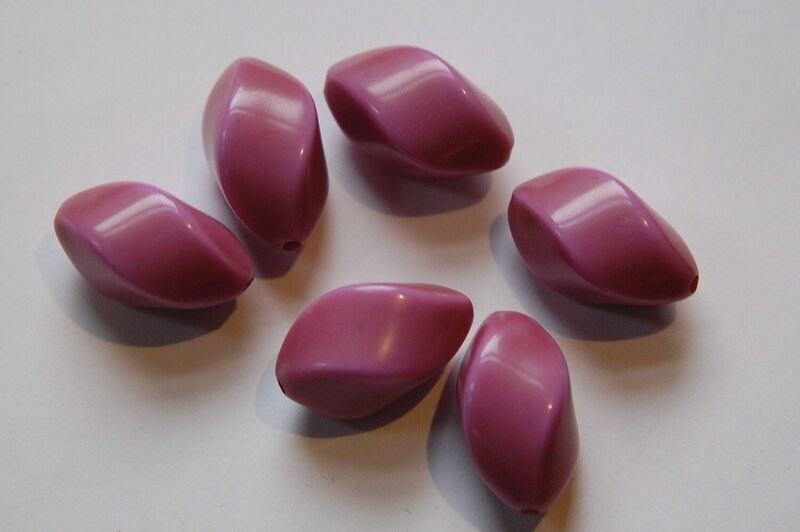 These are vintage lucite beads that are done in a shade of purple. They have an antique finish on them. 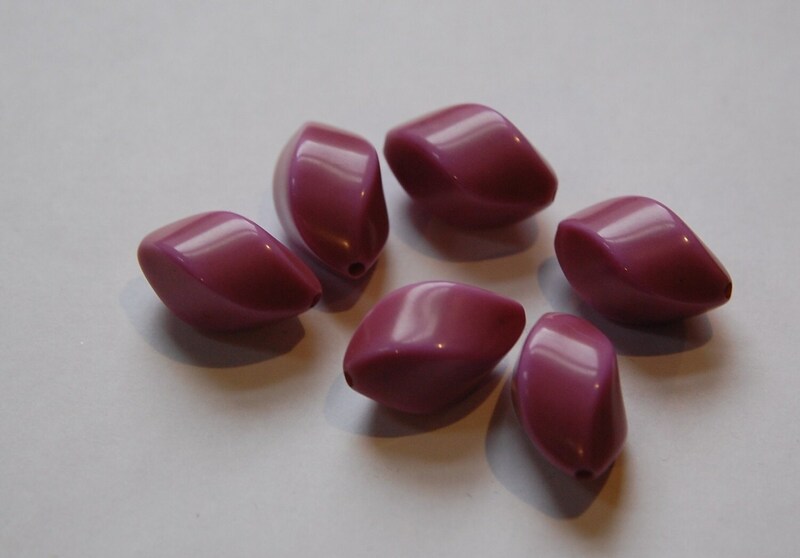 This bead has a gentle twist that gives it added interest. These measure 22mm long X 12mm wide. You will receive 6 pieces. Such a lovely, unusual shade of purple! Can't wait to work with these fun twists. They lend a playful touch to any piece. Great seller!